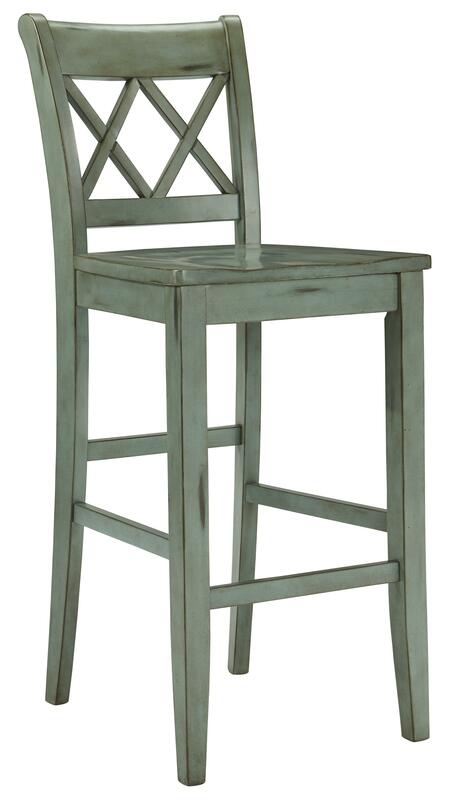 This antique blue/green finish bar height stool is designed to make a statement in your dining room. 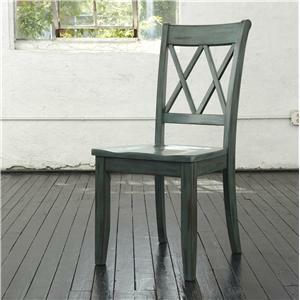 Constructed of hardwood solids, it features a diamond motif on the back rest, a contoured wood seat for comfort, and simple tapered wood legs. 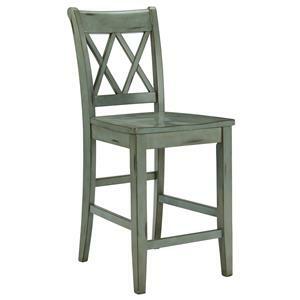 The Mestler Antique Blue/Green Tall Barstool by Signature Design by Ashley at Furniture Superstore - Rochester, MN in the Rochester, Southern Minnesota area. Product availability may vary. Contact us for the most current availability on this product. Leg or Base Footrest height: 12"
There are countless ways to arrange the Mestler dining collection for a cool new look in your home. Taking an inspiration from rustic cottage style, the Mestler dining collection allows you to mix color finishes for a unique, eclectic style that you can call your own. Three chair options and two dining table options can be combined to suit your personal tastes. Coordinating dining storage pieces and barstools are also available. The Mestler collection is a great option if you are looking for Casual furniture in the Rochester, Southern Minnesota area. Browse other items in the Mestler collection from Furniture Superstore - Rochester, MN in the Rochester, Southern Minnesota area.